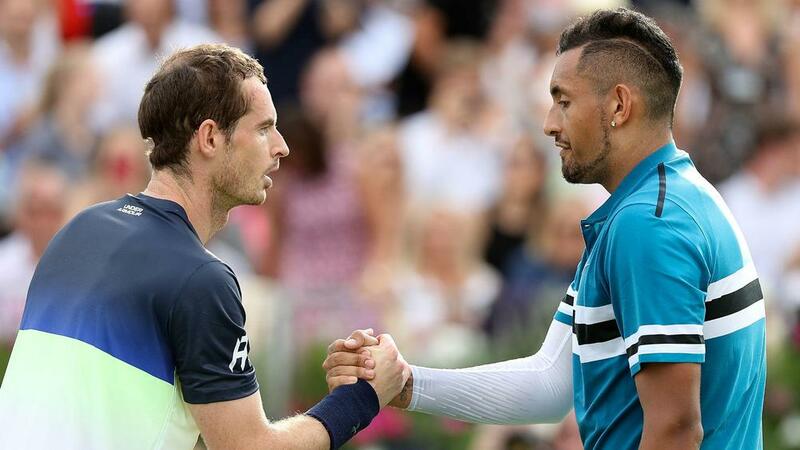 Nick Kyrgios paid tribute to Andy Murray after the three-time major champion announced on Friday the Australian Open could prove his last event in professional tennis. An emotional Murray, 31, told a media conference he would like to retire after Wimbledon in July, but that his troublesome hip injury may mean he is unable to continue beyond the first grand slam of 2019. The announcement comes after Murray's long battle with the problem, which first flared up in June 2017 before he was forced to have surgery in January last year. And Kyrgios, who has won only one of his six meetings with the former world number one, took to Instagram to publish a heartfelt message of support for the man he looks up to as an older brother. "Andy, I know you take me for a joker most of the time, but at least hear me out on this one old friend," Kyrgios wrote. "You will always be someone that impacted the sport in so many different ways, I know this was never the way you wanted to go out, but hey it was a heck of a ride. You took me under your wing as soon as I got on tour, and to this day you have been someone I literally just look forward to seeing. "You are one crazy tennis player, miles better than me, but I just want you to know that today isn't only a sad day for you and your team, it's a sad day for the sport and for everyone you've had an impact on. "Which leaves me big fella... these are a couple photos, that should make you smile and think, I was actually a little bit of a younger brother to you. "Anyways, I just want you to know, and I'm sure you already do, everyone wants you to keep fighting and to keep being you. Good luck at the Australian Open muzz, I'll be behind you. #onelastdance."